This hotel is located on Cayo Santa Maria (107 km from the International Airport Santa Clara / SNU), a small island off the north coast of Cuba, in the province of Villa Clara. 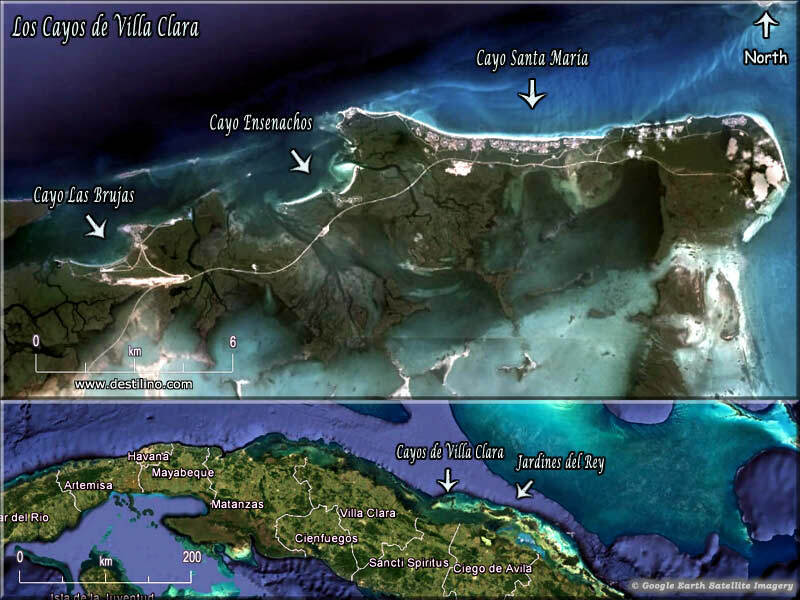 Along with its two neighbors, Cayo Ensenachos and Cayo Las Brujas, they together forms a group of keys called "Cayos de Villa Clara" (aka Cayos de la Herradura or Cayeria del Norte); and this little group of islands is part of a larger archipelago called "Jardines del Rey" (King's Gardens). 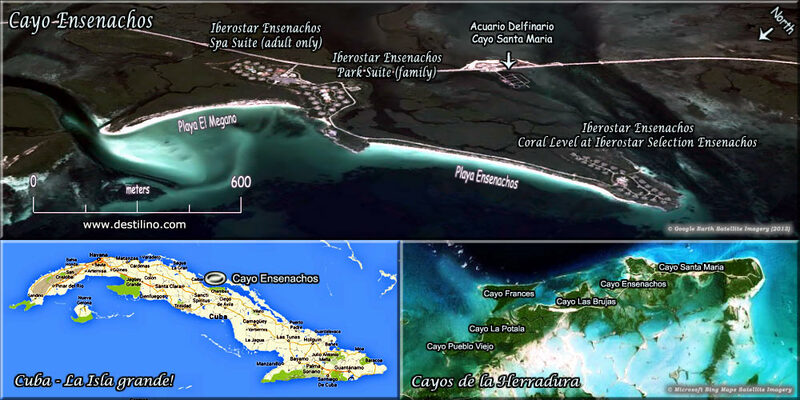 • Customers at this hotel have access to all services offered at the other Melia hotels in Cayo Santa Maria. • Your stay at the Melia Buenavista includes the "Sol-Melia Day-Around" (access to services at the other Sol and Melia Hotels in Cayo Santa Maria) and the "Melia Dine-Around" which give you access to the restaurants at hotels (Melia Cayo Santa Maria and Melia Las Dunas) for dinner. 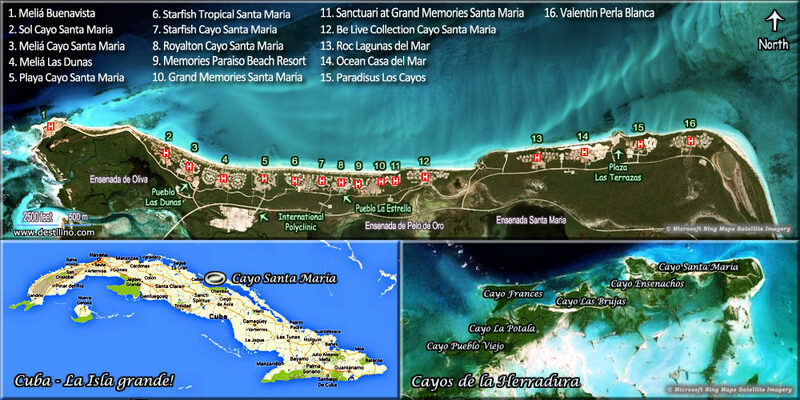 Please note that the Sol Cayo Santa Maria is not included in the Melia Dine-Around. 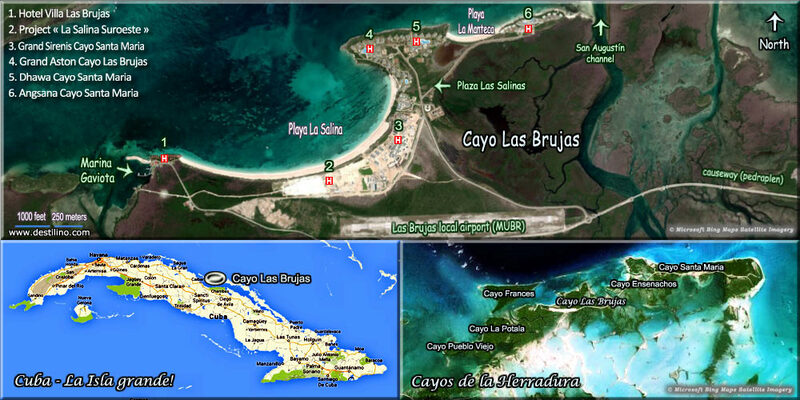 • This hotel has a small Clothing Optional beach (a few palapas) at the east-end of Playa Canon (main beach).